Extraordinary nail art is just a stroke away. The nail art forms allow you to create beautiful nail art on your nails, without worrying about any mess. The 2D technology helps give artistic control, by allowing you to define and design your nail art with no discomfort. The Nail Art Form causes no wrinkling, no marbling, and no inhibition layer. This kit helps bring the definition to your artwork. The gel comes in a sturdy base pot, so no need to worry about the pot tipping over. There is a brush wiper inside the pot, this is where you can wipe your brushes and reduce the mess around the lid of the pot. The Essentials Color Gel Kit - A must have for a nail art designer who enjoys the wide spectrum of shades. 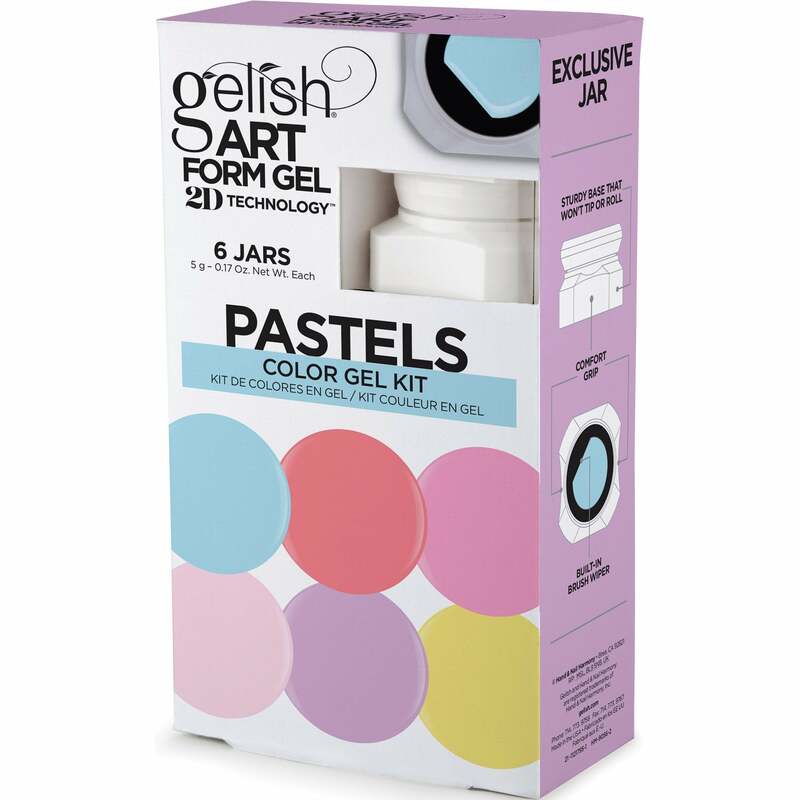 The Pastels Color Gel Kit - A must have for a nail art designer who enjoys the ethereal hues of the wide selection of shades. The Neon Color Gel Kit - A must have for a nail art designer who loves shades that have the power to shock people with there nail design. The Effects Color Gel Kit - A must have for a nail art designer who loves them warm shimmering neutral shades.